Hoping to go on a working holiday but do not know how to start? Join our upcoming event and ask the "experts"! Representatives of the Consulate General of the participating economies were invited to participate in the event to answer inquiries related to visa application, and bloggers who have been to working holiday will be present to share their unique experience on their working holiday destination. 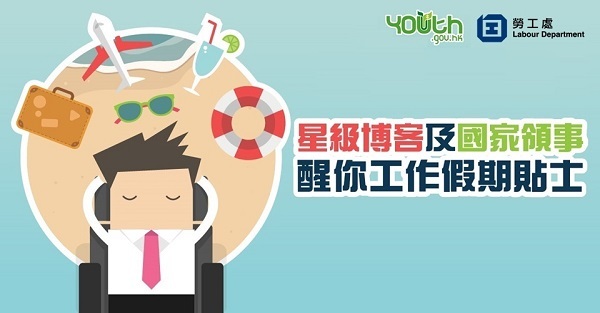 For details and enrollment, please visit http://www.youth.gov.hk/en/event-calendar/detail.htm?content=2115229&cat=ec11.